Available for a wide variety of vehicles, the Curb-Sider is the Bruno’s most popular solution for lifting and transporting scooters or powerchairs inside a vehicle using a hoist. 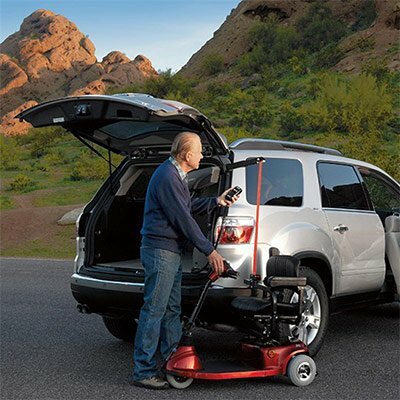 Stand near the bumper or curb, connect the docking device, push a button and Bruno’s Curb-Sider lifts and stores any mobility device up to 400 lbs/118 kg. With a compact design, the Curb-Sider requires a minimum amount of space.